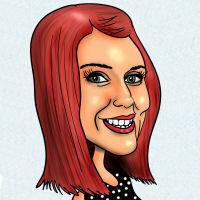 Customer testimonials who have had caricatures drawn from your photos delivered to their email box. Hi, Matt and George!! Wow!! How fast and how beautiful! I really appreciate your work, George!! Thank you so much!! This will be a great Valentines gift for my wife!! Thank you!! Luis. OMG they are amazing� definitely need to add two more one of me and my boss. 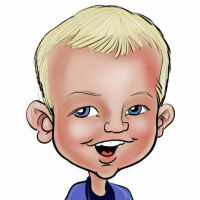 Received my son's caricature today and wanted to let you know how happy we are with the result. It will make a great 40th birthday present. Heather. I am beyond THRILLED with this caricature of Charlie and me!!! 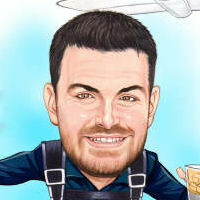 I have had caricatures done in the past but I just sent in a picture and that�s it. 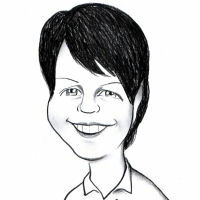 And I got back your typical caricature� I think explaining what I do and what I wanted really helped a lot to convey just what I wanted and the artist hit the nail ON THE HEAD! 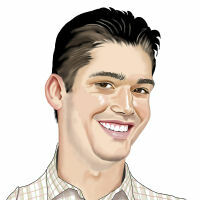 This is such a ROCKIN� caricature!!! I have to say, it was totally worth the wait!! I will definitely be posting on your Facebook wall soon about this amazing amazing artwork! WOW!! Once again John has excelled with his reproduction, this time, of my son, Murphy, which he will receive for his 21st birthday in January. Please pass on my greatest thanks to John for his efforts. I'm so happy with the result and I know Murphy will be too! I have another son Frazer who will be 21 in two years so I'll be back as it is now a 21st tradition to have a John caricture. Thank you so much to Eddie. I love it. Very professional service and I would definitely recommend your company. Wow -- It's truly awesome! So neat! All of the hard work and talent and kind attention you and Harry gave to this project is tremendously appreciated. This will be such a special gift. We're going to print it locally this week for our weekend birthday event. So excited to share it with everyone! 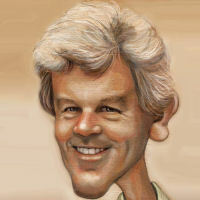 We certainly will recommend Caricature King to others! It's been a pleasure to work with you. Thank you so much! 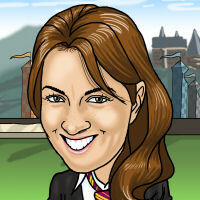 Please let Harry know that I was absolutely thrilled with his final caricature. He did an awesome job. It was the highlight of the retirement event and loved by all. There were tears of joy and delight and much laughter! Many thanks! It turned out so amazing! I absolutely love it! Thanks for such a quick turn around too! "Thanks for your prompt service and communications!" 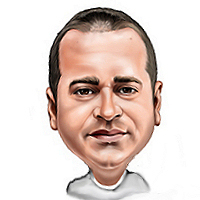 Please let Eddie know that I am very impressed with the caricature and will be sure to tell everyone of my friends and family what a quick, and outstanding professional job that was done by your staff! I am very satisfied!